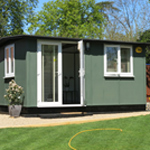 The Classic Extro offers comfortable and versatile space where the available garden space isn’t so straightforward. 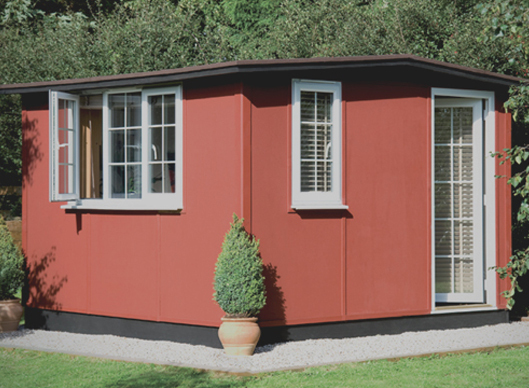 With it’s versatile dimensions, the Classic Extro is perfect for long and thin gardens by offering 14ft of internal length but only 7ft of depth. 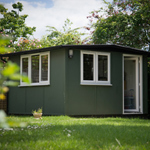 Popular as a two person office – or as a small personal retreat – the Extro makes a small impact on garden space but offers a substantial interior footprint. 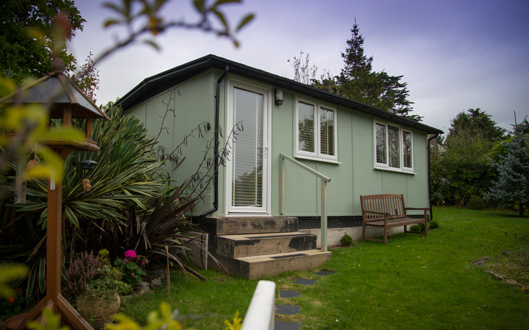 Of course, the Classic Extro is fully insulated and is completely double glazed with windows and doors that boast low-e glass, window locks, multi point locking and night vents. 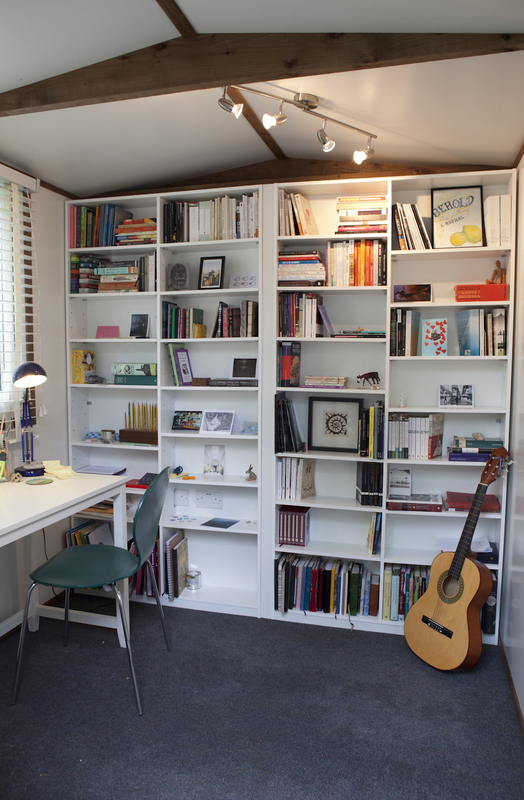 Cool in summer and warm in winter, you’ll want to use your new space all year round. 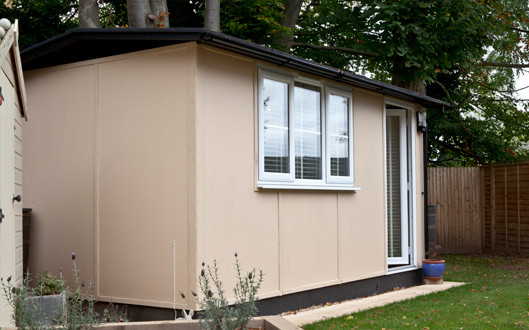 A practical and comfortable interior is twinned with the solid and robust TuSC construction system. 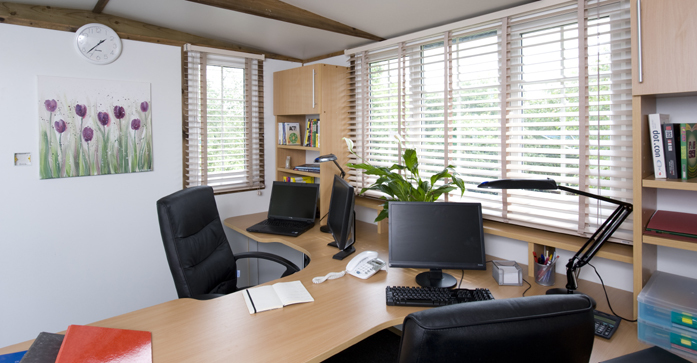 Fully lined with a white silk internal finish with matching timber trims, the Extro is both charming and durable. 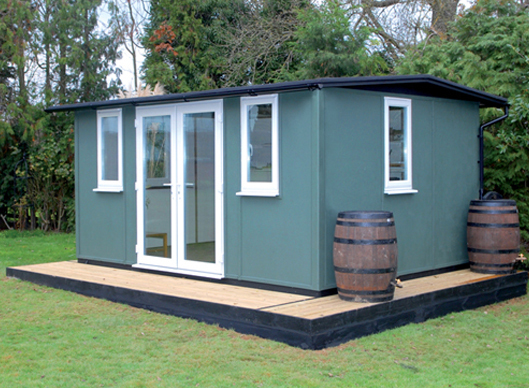 With the low line roof supplied as standard, the Extro won’t require planning permission in most locations. The Extro’s interior is something we’re proud of. 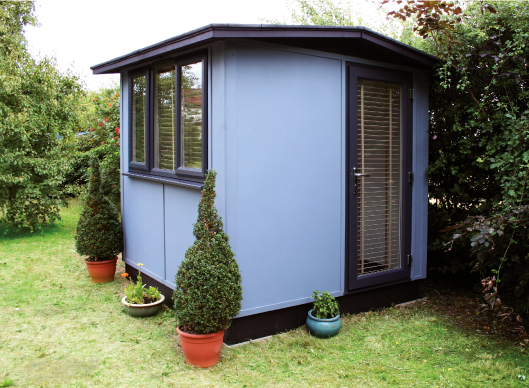 It’s the perfect compromise and solution if you have a narrow garden and still require the space our Smart Garden Offices can offer. 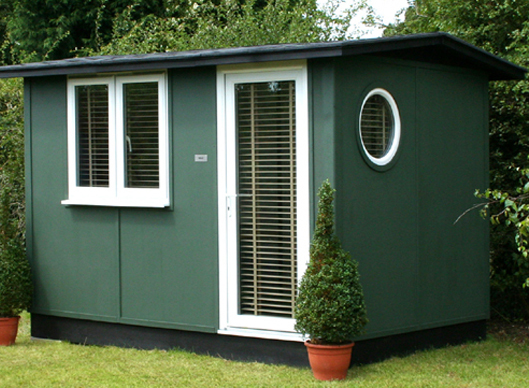 The interior still offers ample room, and creates a perfect space for any use. 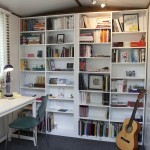 Library, gym, art studio, craft room, the list goes on. It’s there to be personalised too, from the carpet to the lighting, it’s full of potential to be one of your favourite rooms in the house! 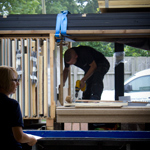 Installation is simple, it takes no more than three days, and the Extro will be constructed and finished ready for you to start enjoying! 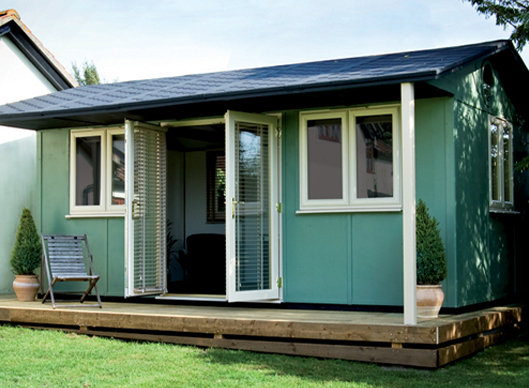 The classic duo offers the same width as the Extro, and has more depth, Offering a spacious Garden Office that can be adapted to suit you. 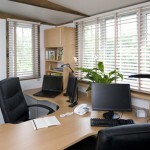 The Trio is the perfect three person office, with plenty of space and heaps of potential.